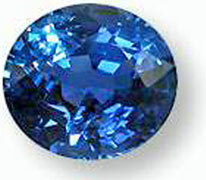 Chief Deputy Director of the Russian Finance Ministry Andre N. Katepow seeked information from the National Gem and Jewellery Authority on purchasing a stock of quality certified blue sapphires and rubies from Sri Lanka. The NGJA made a major effort to obtain orders from several countries including Russia, China and the Middle East in the wake of the decline in local gem exports during the first half of 2009 due to the worldwide economic downturn. The request for gems from Russia follows invitations extended to the above countries to participate in the Facets 2009 international gem and jewellery exhibition to be held on a grand scale at the BMICH in September this year, according to National Gem and Jewellery Authority Chairman and CEO Hasitha Tillekeratne. 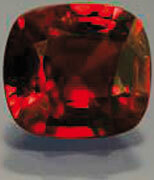 The order from Russia is for stones numbering between 500 to 700 in all varieties of blue sapphires and rubies. Hasitha Tillekeratne further said that placing the orders with local gem dealers and arrangements for purchasing the stones through Russian companies will be done once the procedures of purchasing them are finalized. The NGJA Chief is confident that the Authority will do its maximum to encourage local gem industrialists to continually participate in gem and jewellery exhibitions in various countries so that it would pave the way for receiving more such orders leading to an increasing demand for Sri Lankan gemstones in the world market.